Watch out for that tree… root! In fact, money is so tight, that the person who picked up the phone said that the next time I call she may have been replaced by an answering machine. So why should you care? 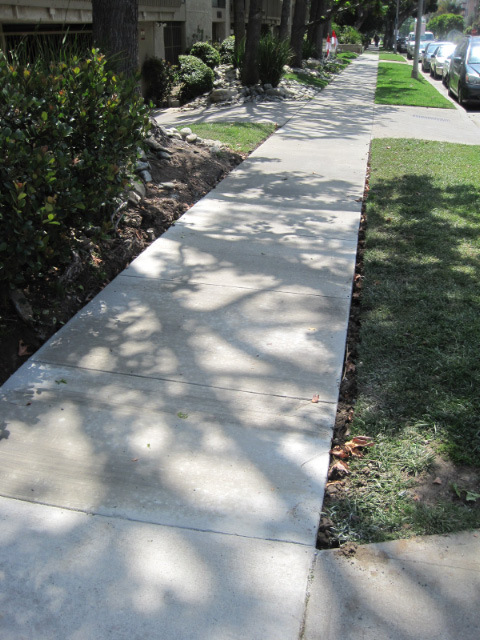 We recently fixed the broken sidewalk in front of one of our buildings and just in time. I watched as a tree on our property created a crack across the sidewalk that grew from a small thing into a 2” tectonic face in just over a year’s time. Ironically, once we decided to start getting bids to repair the sidewalk (a 30’ x 5’ sidewalk cost us $2,500) at least two people tripped on the sidewalk, one of which demanded that I pay for her emergency room visit. Don’t wait for the City to fix a tripping hazard. At the very least you may be able to grind down that crack and avoid writing a check for the emergency room visit.